I really enjoyed this series until the end. =.= I’m not super happy about the ending but I’m pretty sure it could have been worse so I’ll just be content with it. 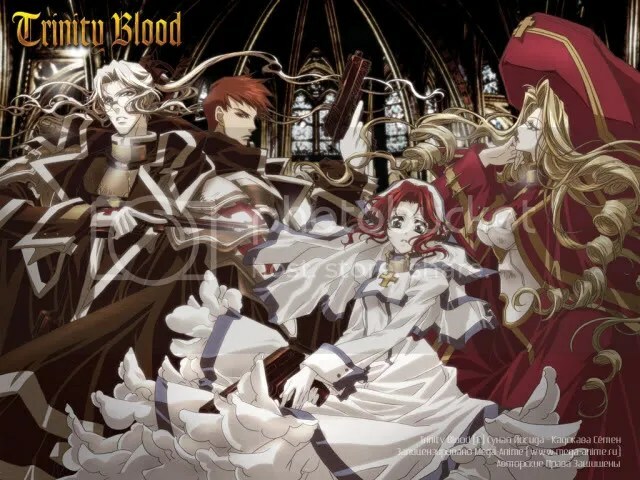 Trinity Blood- Halfway Into The Series. 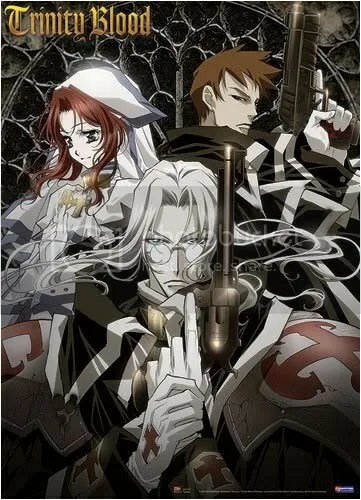 I’ve stopped focusing on current/new series of the fall and went back a few years to find Trinity Blood. Yes, this series isn’t old but anything that’s not airing now in Japan, I consider it old. :P So I don’t watch them. but now, I’m starting to. What I love about the show is the pace at which the story is told. Whenever I watch an ep, it seems to always end so quick. I get so caught up in the story and the action that I don’t think of anything else while watching it. The problem with a fast-paced story is that you get so caught up in it that you don’t have time to take/soak in all the information that’s presented. Seriously, I have trouble with remembering characters and their names and keeping track of what’s going on.